Andrew A. Lammers-The Teacher | Je Me Souviens-To Infinity & Beyond! I feel it is important I have a post about my dad’s line of work. No, he did not go to a university receiving a Bachelor Degree in education. He actually went to Cardinal Stritch University for about 3.5 years for social work before leaving. But, he still became a teacher. No, he didn’t get hired without proper credentials. But, he taught at the same alternative school for 27.5 years. Where did he work? The Milwaukee County House of Corrections. After graduating high school in 1971, my dad enlisted in the US Marines, where he served for 2 years and was also in inactive reserves for 2 years after. He was usually stationed on a boat near the Philippines. My Uncle Ed has told me that my Grandpa (a pilot in the Marines during WWII) tried to buy my dad out of joining the Marines by offering to purchase him a convertible. My dad declined. After his bout in the US Marines, he enrolled part-time at Cardinal Stritch University, a private school on the north end of Milwaukee County. His plans were to go for social work. He needed a job during this time. So, in January 1976 he was hired as a correctional officer at the Milwaukee County House of Corrections, in Franklin, Wisconsin. During his years at Cardinal Stritch, he realized he didn’t want to stick with social work. Going to school really wasn’t his thing. After his military benefits ran out, he left the university and stayed with working at the HOC. He held various positions while there-correctional officer from the rank of sergeant to lieutenant, recreation specialist and program facilitator. When he started as a correctional officer, he even worked on the farm for a bit when they still had livestock that they slaughtered. But, his favorite position had to be when he was Recreation’s Officer. Basically, he was the Physical Education teacher for the inmates. And he loved it. He had “Rec. Porters”-an inmate or two who earned the privilege of extra gym time because of behavior. Dad would have them do cleaning jobs around the gym and weight room, and they got to work out with my dad for extra time than regularly allowed. My dad had a special bond with the inmates. Keep in mind, this was a correctional facility where most inmates my dad dealt with on a daily basis were in for shorter periods of time, either for drug issues, theft, petty crimes, etc. He was not working out with people suspected of murders. He taught them proper weight training and that they should not use the weights as a tool for “bulking up” so they could then go out and commit more crimes. 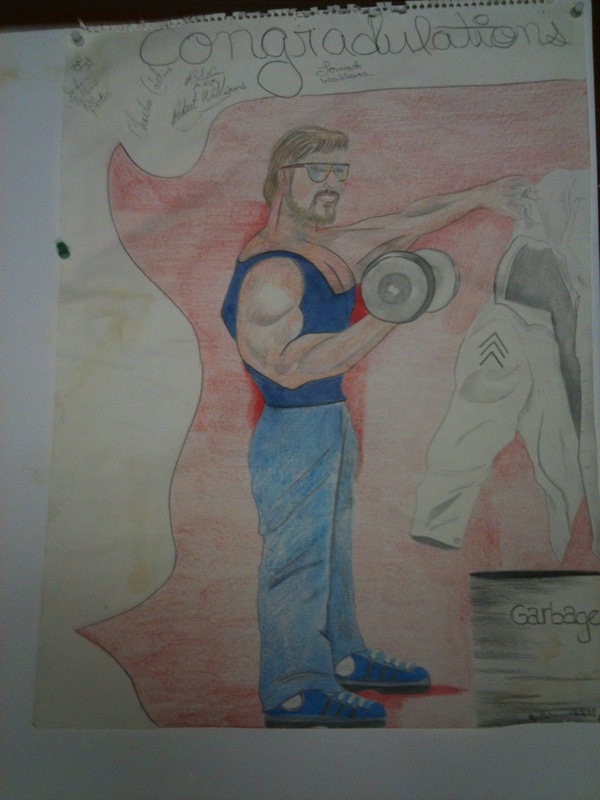 In about 1994, there was a major issue about allowing inmates in these type of facilities to use free-weights. My dad was in support of keeping the free-weights and not moving to just machines. It caused quite the stir in the news and the papers. 20/20 did a segment at the House of Corrections with John Stossel, and my dad was interviewed. I remember us watching the segment at home. There he was, in his red HOC rec. officer polo! That was his 15 minutes of fame, even if it was only an 8 second clip that got included. Online you can still find a few websites with some articles relating to this issue that include quotes from my dad. The quotes are ever-so-thoughtful, in only a way my dad could convey. But he stood by his beliefs. 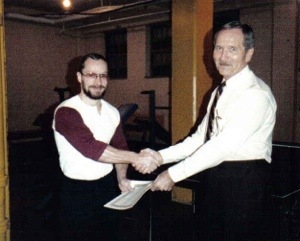 If there was a properly certified employee who was passionate about weight-training and athletics, who would supervise the inmates with an iron-fist and put the smack-down on misbehavior or mistreatment of the weight room, there was no reason why inmates should not be allowed time in a weight room. The exercise was a healthy outlet for them. Sadly, they dissolved the rec. officer position. My dad still held a place in the weight room at the HOC. 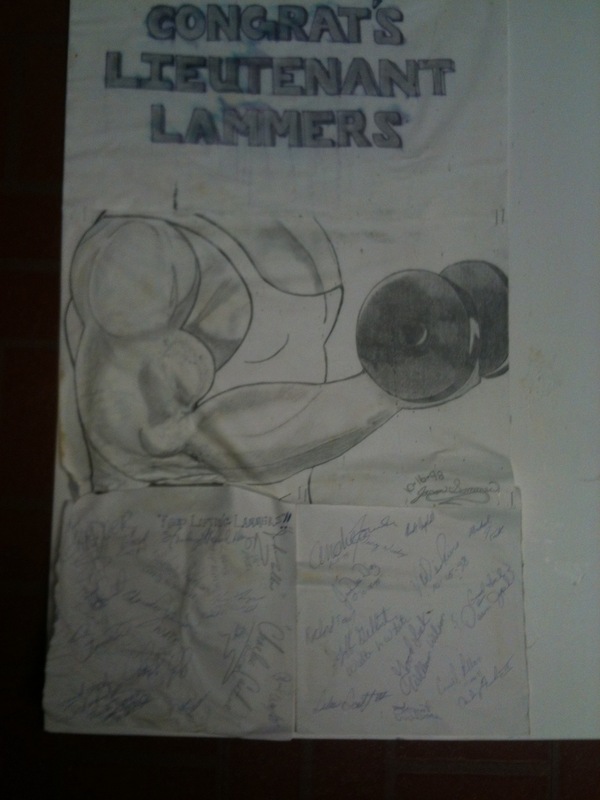 When my dad got promoted to a lieutenant, the inmates drew and signed two pictures to congratulate him. He had a bond with them. It was a common occurrence for us to run into former inmates while at county and state fairs, as they were working as carnies. They would always, always yell things like “Sergeant Lammers! Hey! How are you! Look! I have a job! I haven’t been in trouble since being let out!”. My dad would remember every single guy. He would take the time to talk about them and how they got their life together. Some of the stranger places my dad ran into inmates was at the zoo and even at a wedding. Please note, that this wedding was not for someone in our immediate family! My dad’s final position at the HOC was Program Facilitator. 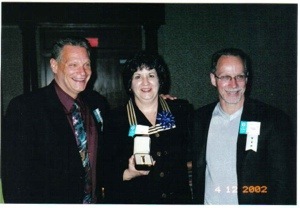 He arranged programs for the inmates and coordinated volunteer programs. He also organized the pastors who travelled from Indiana to come in and work with the inmates. I never heard it, but apparently on a late-night radio feed at around midnight on Sundays, these pastors did blessings for my dad and the inmates at the HOC. My dad use to make my mom get it tuned in so he could hear it. Including my dad’s years in the military, my dad had 29.5 years of service with Milwaukee County when he retired in August 2003 at the age of 51. There was a small gathering at Jim Dandy’s in Franklin where they had a retirement party. He was one of the longest serving employees at the HOC at that time. The retirement came 10 months earlier than originally planned, all due to county-wide budget cuts. It turned out to be the right decision, as my dad passed away 8 months later. No, my dad did not teach at an elementary, middle or high school. He did not even teach at a “traditional-alternative school”. But he taught. He worked hands-on with those inmates who had run into tough times. He could have treated them like the criminals everyone thought they were. But he made connections with them and got them prepared for life after being released. People may feel uncomfortable with this idea of a teacher, but I know my dad made a lasting impact in hundreds of men’s lives. I am forever proud of him.